By default, your new Chromebook might has only a little applications. But, there are thousands other apps you can install from Chrome Web Store. If not enough, you there is still Google Play where you can download apps from. Today, Chromebooks also support Android apps. It will give you a chance to enjoy the experience of using Android apps on desktop. Also, it makes Chromebook a platform that has the most option of apps in the planet. However, not all Chromebook devices support Android apps. Older Chromebooks haven’t had the capability of running Android apps. Some newer Chromebooks like Google Pixelbook and Samsung Chromebook Pro already feature Google Play to allow you to install Android apps and run them on your Chromebook device. Following are some Chromebook models in the market that already support Android apps. Acer Chromebook R 11 is convertible laptop that has a long enough battery life. You can work with this device for about 10 hours without plugging it to the electricity source. Convertible means you can turn this Chromebook from a traditional laptop into a tablet mode. This Chromebook has a super flexible yet sturdy hinge. You can swivel your laptop into 360 degree to turn it into tablet mode. 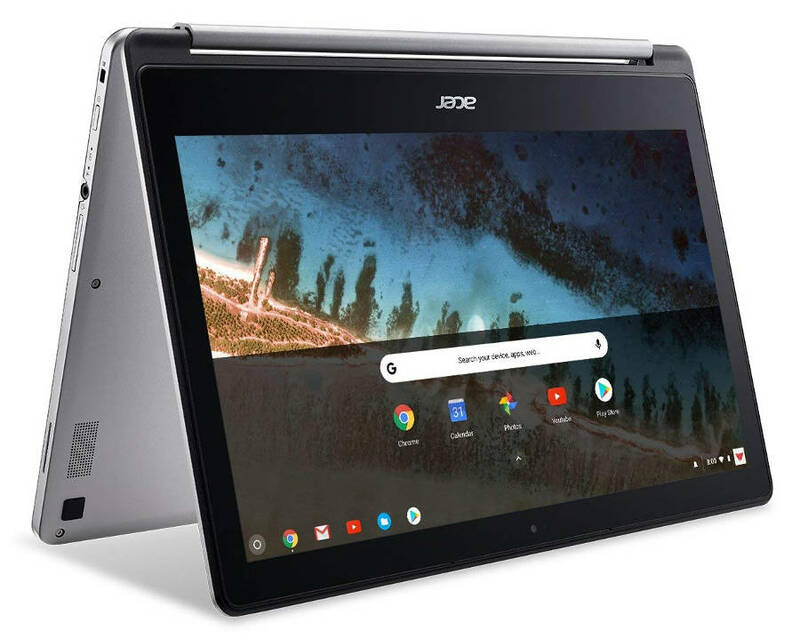 R 11 is a low-end Chromebook from Acer. This laptop is powered by Intel Celeron N315. Google Play is installed by default, giving you access to your favorite Android apps, as well as movies and books. R 13 is another Chromebook from Acer that has a capability of running Android apps. 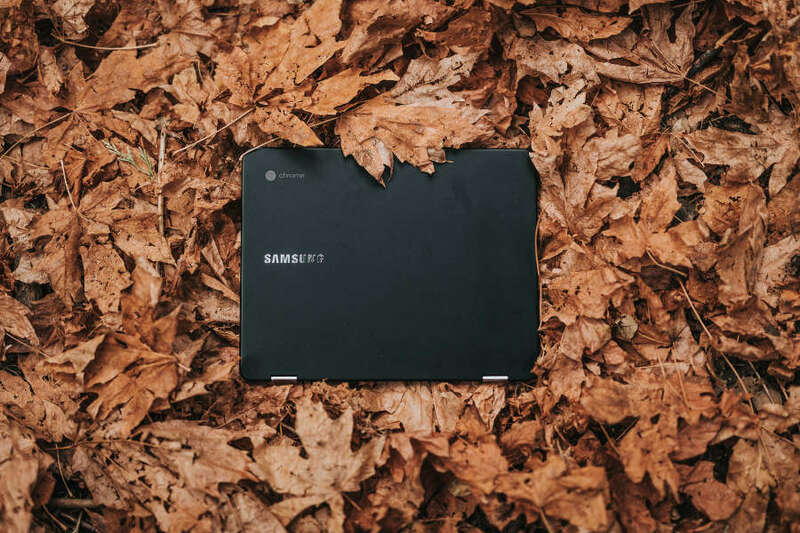 It also has the same design concept as R11 which allows you to turn it from traditional laptop into a tablet mode thanks to the 360-degree hinge. It also has a long enough battery life. There are two major differences between R 11 and R13. First, R 13 has a larger screen size than its brother. While R 11 comes with a 11-inch screen, R 13 comes with a larger display: 13 inches. Second, R 13 uses a processor from MediaTek instead of Intel. This Chromebook is powered by MediaTek MT8173C Core Pilot Quad-Core ARM Processor. This processor is specifically designed for tablets. Another specs of R 13 include 4GB of RAM and 32GB internal storage. Core M is a processor series from Intel designed specifically for ultra-thin notebooks. The processor series have ultra-low power. ASUS Chromebook Flip C302CA-DHM4 is Chromebook that is powered by this processor. More precisely, this Chromebook is powered by Intel Core m3. There is also ASUS Chromebook Flip C302CA-DHM4 variants that use Intel Core m5. 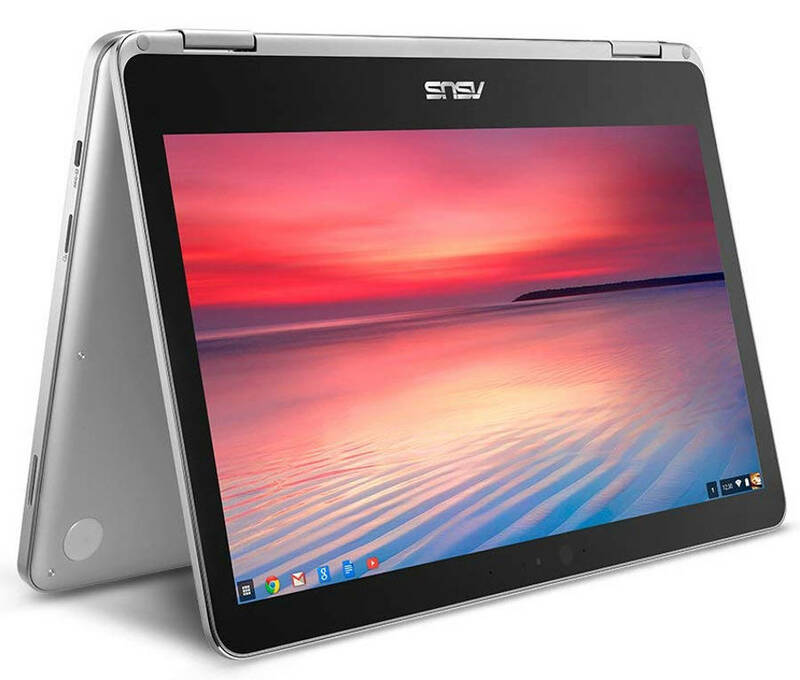 ASUS Chromebook Flip C302CA-DHM4 is a 12-inch laptop. This laptop has all-metal body. It also has a 360-degree hinge to allow you to turn into a tablet mode. Google Play is also ready so you can install your favorite Android on this Chromebook right away. Other specs of this laptop include 4GB of RAM and 64 of internal storage capacity. 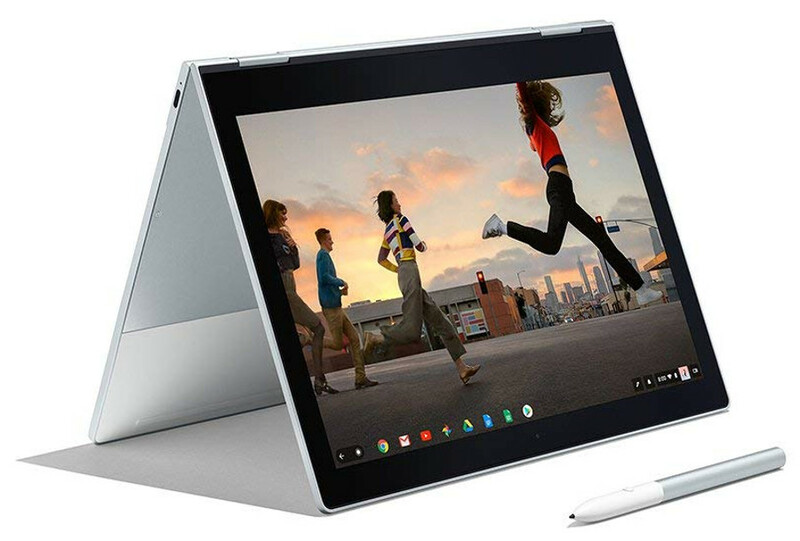 Google, the main actor behind Chromebooks, also has its own Chromebook devices called Google Pixel. Unlike the vast majority of Chromebooks existing in the market which commonly feature middle-end specs, the specs of Google Pixel tend to high — as well as the price. Google Pixel uses the Intel Core i processor, which commonly used on high-end laptops. Google Pixel is available in several variants. The one on the picture above is powered y Intel Core i5, supported by a 8GB of RAM and has 128GB of internal storage capacity. Google Pixel also comes with a convertible concept. Meaning that you change your device into four modes: laptop, tablet, tent and entertainment mode. 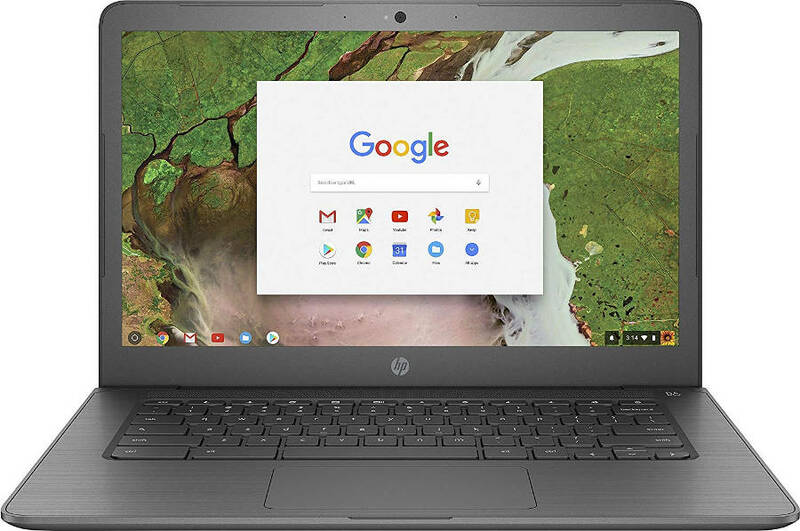 Unlike four first Chromebooks above which have a convertible design concept, HP Chromebook 14 G5 is a purely laptop. 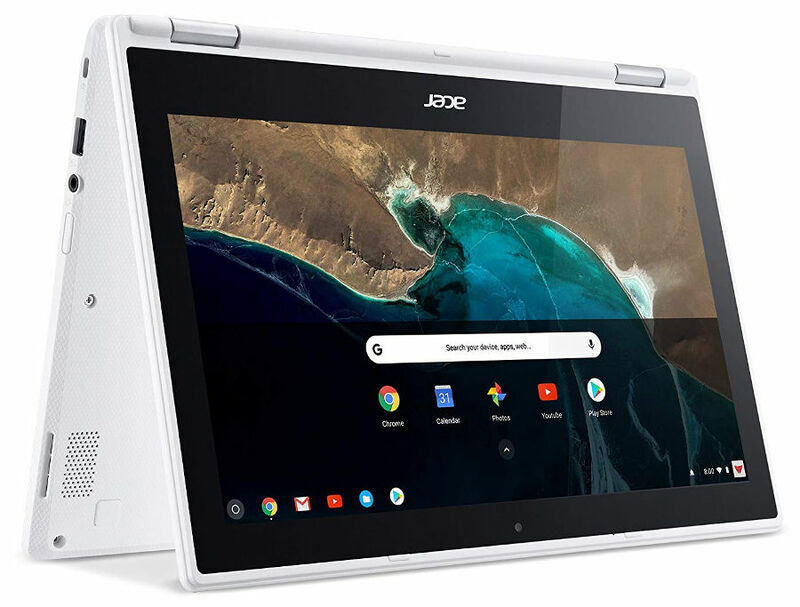 You won’t able to turn this Chromebook into a tablet mode. Since this laptop is designed to be a traditional laptop, it makes it possible for HP to provide a larger display for the users for a more convenient working experience. Google Play is also installed so you can install Android apps on this device. This Chromebook itself is powered by an Intel CN3350 processor. Other specs include a 4GB of RAM and 16GB of local storage capacity. Samsung Chromebook Pro is another Chromebook on this list that is powered by Intel m6 processor other than ASUS Chromebook Flip. The processor has the clock speed of 2.2Ghz. The overall specs of this Chromebook are not much different to the vast majority of other Chromebooks on this list. It also has a 4GB RAM and fewer capacity of internal storage capacity. 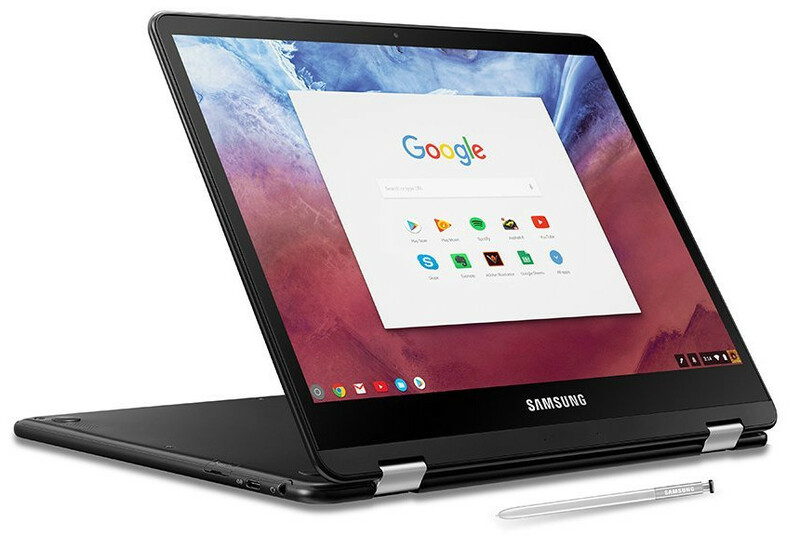 In terms of design, Samsung Chromebook Pro comes with a convertible design, allowing you to turn the mode of this laptop, whether traditional laptop, tent or tablet. Samsung Cromebook Pro comes with a 12-inch display. Ideal enough if you want to turn it into a tablet mode. 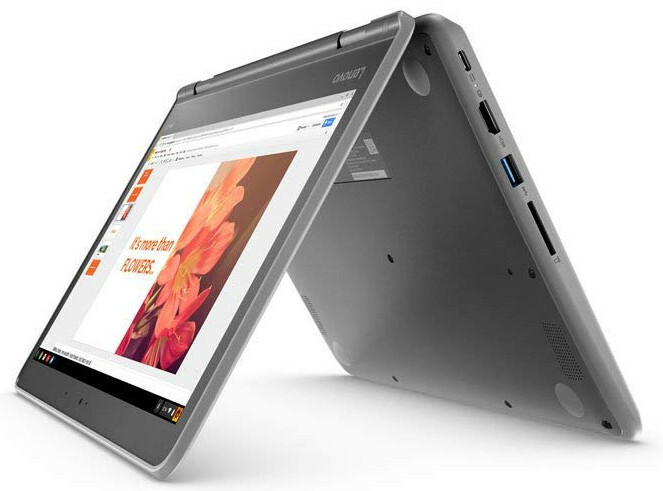 Another Chromebook that supports Android apps is Lenovo Flex 11. Google Play is also installed by default on this Chromebook so you can start installing your favorite Android apps right away. Lenovo Flex 11 also comes with a convertible concept. Every time you want to make a switch from the laptop mode to the tablet, all you need to do is just to swivel the hinge to 360 degree. Lenovo Flex 11 has one thing in common to R 13. It uses processor from MediaTek instead of Intel. The processor used on this laptop is MediaTek MTK 8173C, a dual-core processor with the clock speed of 2.1 GHz. Other features offered by this Chromebook include a 4GB of RAM as well as 32GB of internal storage capacity.